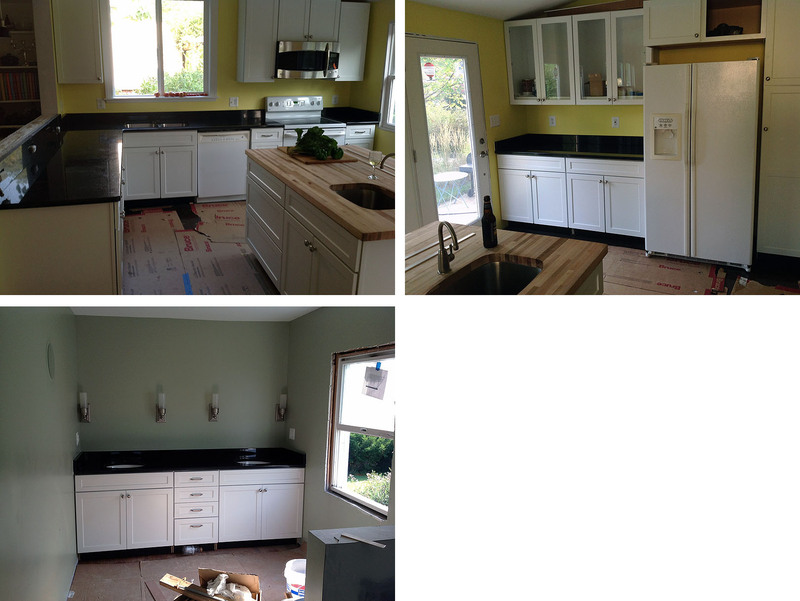 The granite countertops were installed yesterday, except for the bar top which needs some modifications to mount safely. That will be installed today. 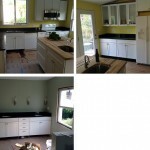 We love the type of granite we chose – Galaxy Black – even though it was more expensive. We decided to make that the “big investment” in materials, and save money in the cabinets and floors. It looks great. Notice how different it looks in the kitchen with the yellow walls versus the bath with the green walls. Lovely. The small inclusions have different colors in different light, looking almost copper in incandescent light.